But a preservationist group, Friends of the Frank J. Wood Bridge, says it may challenge the project in court. 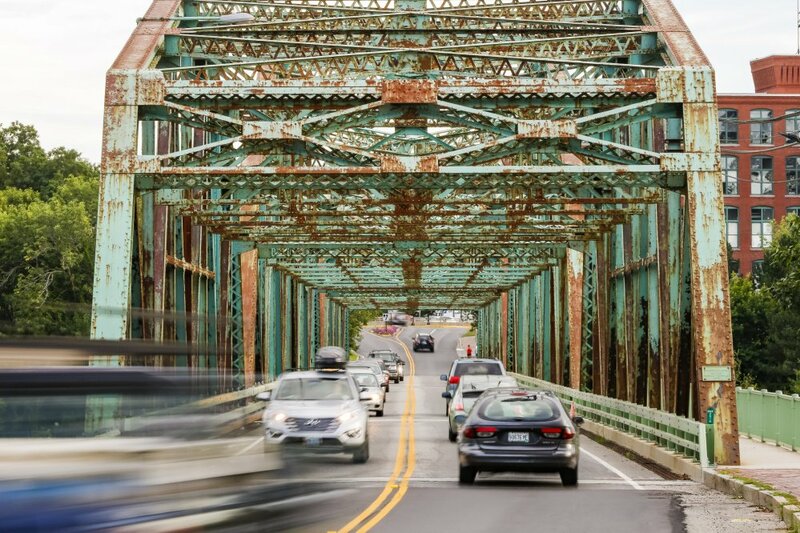 An aging bridge between Brunswick and Topsham should be demolished and replaced, not renovated, according to the Maine Department of Transportation. The department and the Federal Highway Administration have considered options to fix or replace the Frank J. Wood Bridge over the Androscoggin River for years. Local activists have pushed to repair the 86-year-old truss bridge and preserve it as a historic structure. A preservationist group said Tuesday it intends to continue opposing bridge replacement, and may challenge the project in court. In a statement Tuesday, the MDOT said replacing the bridge with a new span slightly upstream was the preferred alternative. The project is expected to cost $15 million and will take at least 2½ years to complete. The substantial determining factors for choosing to replace the bridge included the long-term costs of rehabilitation – approximately double the cost of replacement – and the improved safety and accommodation of bicycle travel, the department said. Choosing a course of action is a “major formal step” but the project still needs to undergo environmental analysis, according to the department. “This is how we are leaning, but we have to get through the environmental process to be sure,” said MDOT spokesman Ted Talbot. 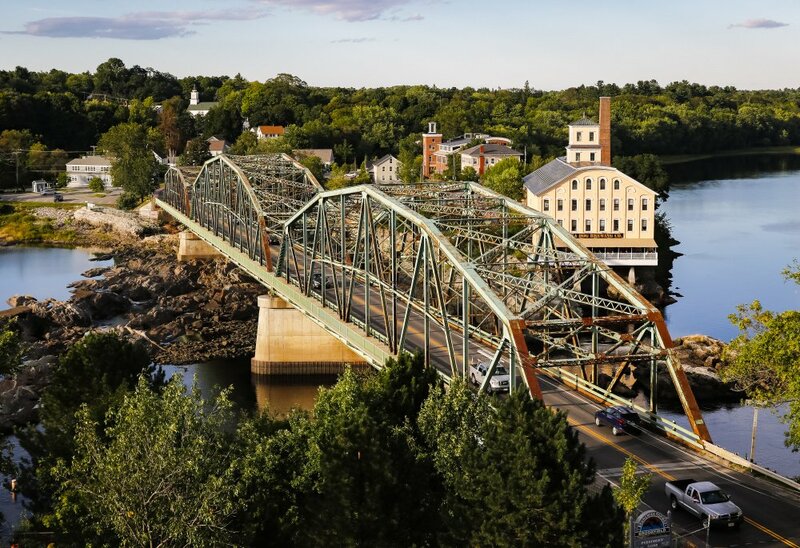 The heavily traveled bridge is the main thoroughfare between downtown Brunswick and Topsham, and carries approximately 19,000 vehicles a day. With its advanced age, however, the bridge has begun to show structural problems, identified in multiple engineering reports. Last year heavy trucks were prohibited from using the bridge after an inspection showed “ongoing and fast” deterioration of structural steel. Four options were considered by the department, including building a new bridge at the same location, estimated to cost $18 million, and two renovation options costing between $17.5 million and $19.5 million. The MDOT proposed replacing the bridge more than a year ago but ran into opposition from local activists who wanted to restore and preserve the span. Some worried removing the bridge would affect historic mills and neighborhoods on either side of the river and wanted the bridge itself to be given historic designation. In a statement, John Graham, president of Friends of the Frank J. Wood Bridge, said the group was “very disappointed to say the least” with the department’s decision. “MDOT has never seriously considered the rehabilitation option for this bridge and continues to use unverified assumptions on the rehabilitation cost and future maintenance to skew the service life costs in favor of their ‘chosen’ alternative,” Graham said. The group believes the MDOT has not correctly followed a historic review process, Graham added. It will continue to advocate for the bridge in additional historic and environmental reviews, and is prepared to pursue a legal challenge if necessary, Graham said. The department has undertaken a federal review to ensure the historic nature of the bridge is considered and is now determining “how best to mitigate any adverse effects the preferred alternative has on historic properties,” Talbot said. The proposed two-lane bridge would be sited slightly upriver from the existing span. Preliminary designs include two travel lanes and sidewalks on either side of the bridge. The project could go out to bid in late 2018 and construction could start the next year, Talbot said.